Let me just start by saying that I think Mimi Jourdain (Penny Black Designer) does amazing things with their stamps. UGH...it's not a stamp, she painted that freehand. I am hoping she thinks imitation is a form of flattery, because I needed to make a similar card. 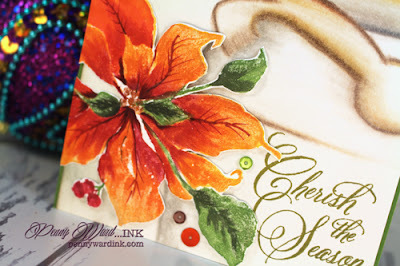 I stamped the poinsettia in Fall colors using Imagine Crafts inks. The Milk Can is in colored pencils. By no means can I draw (well, maybe stick people), but that didn't turn out too terrible. Ooooh such a pretty card! Awesome!!! See what you can do when you are desperate to create. Now you have forced me to try it to. 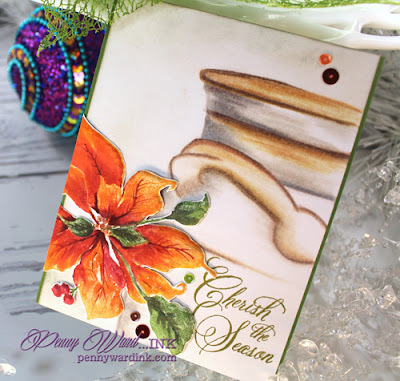 A super Autumn inspired creation and perfect for our themes this month, many thanks for joining us at Penny Black and More and Stamping Sensations challenges. Yes you can draw! This card is beautiful. What a lovely gift this will be for someone very special. Penny--I always enjoy seeing how others put their own stamp on things! Well done with this inspiration from Mimi--I agree with you about her talent. 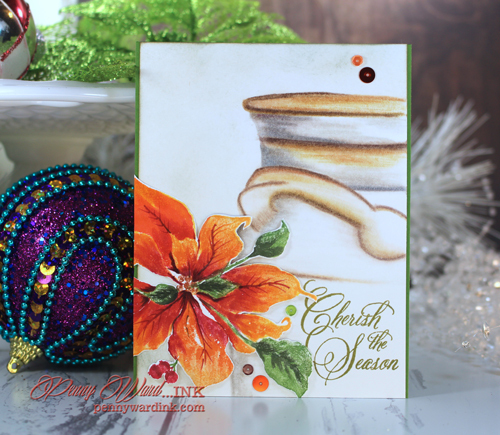 A stunning card Penny and the colouring on the poinsettia is beautiful. thank you for entering our Autumnal challenge this month and we hope you will enter more of your creations in the future. 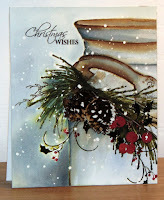 Gorgeous card and your milk can looks fab. Beautiful card - great job on the milk can!